You will find below the horoscope of Emily Osment with her interactive chart, an excerpt of her astrological portrait and her planetary dominants. Horoscopes having the same aspect Neptune conjunction Midheaven (orb 0°43'): Monica Bellucci, Orlando Bloom, Jacqueline Kennedy Onassis, Matt Damon, Naomi Campbell, Abraham Lincoln, Angela Merkel, Frank Sinatra, Dakota Fanning, Meg Ryan, Camila Cabello, Ayrton Senna... Find all the celebrities having this aspect. Horoscopes having the same aspect Sun sextile Midheaven (orb 1°06'): Emma Watson, Charles Manson, Jean-Luc Mélenchon, Patrick Swayze, James McAvoy, Laure Sainclair, Jackie Chan, Simone Veil, Amanda Lear, Amanda Bynes, Laurent Ruquier, John Legend... Find all the celebrities having this aspect. Celebrities clicked on in real-time: 576,870,976 times. Emily Jordan Osment (born March 10, 1992 in Glendale (Los Angeles County)(birth time source: Viktor E., Astrodatabank, birth certificate)) is an American actress, singer-songwriter and voice actress born in Los Angeles, California. After working in several television films in her childhood, she gained fame for co-starring as Gerti Giggles in Spy Kids 2: Island of Lost Dreams and Spy Kids 3-D: Game Over. She went on to co-star in the Emmy Award-nominated Disney Channel sitcom Hannah Montana as Lilly Truscott as well as the series movie, Hannah Montana: The Movie. She also starred as Cassie in R. L. Stine's: The Haunting Hour Volume One: Don't Think About It and the Disney Channel Original Movie, Dadnapped as Melissa Morris. Here are some character traits from Emily Osment's birth chart. This description is far from being comprehensive but it can shed light on his/her personality, which is still interesting for professional astrologers or astrology lovers. 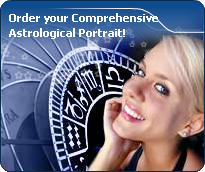 In a matter of minutes, you can get at your email address your astrological portrait (approximately 32 pages), a much more comprehensive report than this portrait of Emily Osment. Emily Osment, the diurnal South-eastern quadrant, consisting of the 10th, 11th and 12th houses, prevails in your chart: assertion and goals achievement are at the centre of your concerns. You are very keen to implement your dreams and your plans. You achieve your ambitions as soon as possible, whether through an active social life, highly charged friendly relations, or an urge to take actions in order to reap - in the eyes of the world, of course - the rewards of your dynamism. It is likely that spirituality or humanitarian actions are part of your motivations, sometimes at the price of some degree of isolation. Like the majority of Earth signs, Emily Osment, you are efficient, concrete and not too emotional. What matters to you is what you see: you judge the tree by its fruits. Your ideas keep changing, words disappear, but actions and their consequences are visible and remain. Express your sensitivity, even if it means revealing your vulnerability. Emotions, energy and communication must not be neglected; concrete action is meaningless if it is not justified by your heart, your intellect or your enthusiasm. Cheers for communication and mobility, Emily Osment! The predominance of Air signs in your chart favours and amplifies your taste for relations and for all kinds of short trips, whether real (travels) or symbolic (new ideas, mind speculations). You gain in flexibility and adaptability what you lose in self-assertion or in pragmatism. The emphasis is on succedent houses in your chart, namely, the 2nd, 5th, 8th and 11th houses, Emily Osment: this configuration usually endows a personality with affective and sensitive qualities. Obviously, to the detriment of self-confidence or self-assertion, but your heart qualities may be very important. These houses also favour realization. Time and patience are part of their characteristics. However, they are only indications and you must include them in the rest of your chart in order to see whether they are validated or not! In your natal chart, the three most important signs - according to criteria mentioned above - are in decreasing order of strength Capricorn, Aquarius and Taurus. In general, these signs are important because your Ascendant or your Sun is located there. But this is not always the case: there may be a cluster of planets, or a planet may be near an angle other than the Midheaven or Ascendant. It may also be because two or three planets are considered to be very active because they form numerous aspects from these signs. After this paragraph about dominant planets, of Emily Osment, here are the character traits that you must read more carefully than the previous texts since they are very specific: the texts about dominant planets only give background information about the personality and remain quite general: they emphasize or, on the contrary, mitigate different particularities or facets of a personality. A human being is a complex whole and only bodies of texts can attempt to successfully figure out all the finer points. In love, you are more cerebral and friendly than really passionate, Emily Osment. You are made for amorous friendships, for refined and light feelings where each partner retains one's freedom, and almost detachment, without getting really committed. Sometimes, you may be distant from, and indifferent to, love matters for a while, because you can be completely engrossed in original intellectual pursuits and the collective atmosphere which you are so fond of. You substitute a great number of friendly and light contacts to amorous relationships and it is fair to say that they satisfy you. To fall in love, you need spice and a partner who is original, who amazes you and whom you admire; under such conditions, you can freely express your feelings in an ambiance devoid of constraint, where freedom is perfectly respected and shared within the couple. The ruler of the Ascendant, Emily Osment, is Venus. In the sign of Aquarius, it adds a note of eccentricity and inventiveness into your chart, as well as warmth and the knack for establishing contact with people. You enjoy undertaking numerous projects. An individualist, you paradoxically like to set up and participate in groups of discussion, provided that your originality is appreciated as it deserves to be. Emily Osment, the way you take action is quite paradoxical: you carry out your business perfectly well when you are in a teamwork with collective goals, but you do so in your original and individualistic manner: this is your main peculiarity. Your concern is to express your originality and your specificity while remaining immersed in a human community. You are curt and not very flexible. You are inventive and you easily fight authority, just because its very principle runs counter to the sacred values of freedom, independence and, above all, the absence of constraint. Competition does not appeal to you. You prefer to be useful and to conquer new territories of the humanitarian or the intellectual type. On the sexual plane, you are also often original and surprising regarding your fantasies and your tastes. This text is only an excerpt from of Emily Osment's portrait. We hope that it will arouse your curiosity, and that it will prompt you to deepen your knowledge of astrology, as well as to visit and use the wide range of free applications at www.astrotheme.com.